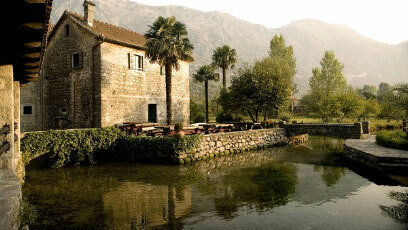 Stagaway team is very proud to inform you that from this season we extended our activity to the Montenegro. 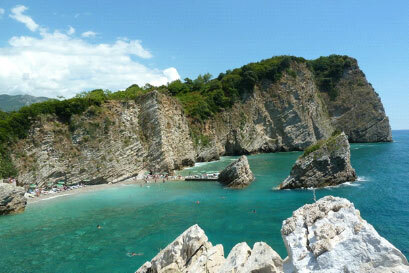 That’s why we decided to choose for you 5 places to be in Montenegro. Hope you will enjoy! Considering the fact that Montenegrin coast offers a wild range of beautiful beaches first you have to pick an area within you are looking for a beach after your own heart. This time I pick Budva and its biggest excursion attraction – The Island of Sveti Nikola. The island of Sveti Nikola is the largest in the southern part of the Adriatic Sea. The coasts of the islands descend vertically into the sea, and there are several small hidden bays – a challenge for specialists, adventurers and romantics. On the island, there are three sandy beaches with a total length of 840m. Beaches on the island of St. Nicholas, popular Hawaii, are one of the most beautiful natural bathing areas on the Montenegrin coast. A special attraction are the mouflons that inhabit the most humble part of the island as well as deer, who live here in the natural reserve. For those who didn’t know, Porto Montenegro is one of the leading Mediterranean luxury yacht homeport and marina village. Following the example of the world’s major ports, this complex offers luxurious accommodation, numerous restaurants and bars as well as nightclubs and even one gallery. 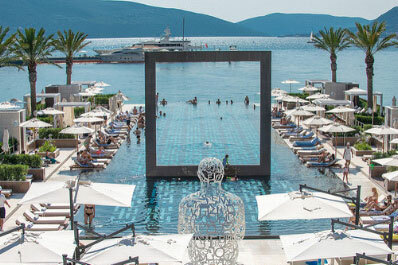 But it’s star attraction is definitely infinity pool with views of the marina, mountains and the Boka Bay. Featuring cutting-edge design from UK architect Richard Hywel Evans, facilities at the pool include day beds, loungers, cabanas with shower and changing rooms, as well as full bar facilities and the Yacht Club Restaurant. If the food for you soul is quiet and smooth hedonistic experience, this is definitely your place to be. On the other hand, if you are seeking for a crowded bar on a beach with loud music and contagiously crazy atmosphere, we kindly recommend you Mr. Stefan Braun. Mr. Stefan Braun is for more than 10 years one of the hottest location of Belgrade’s nightlife and since 2015 this club very successfully satisfies the appetites of its customers in Montenegro as well. Located in Budva, on Slovenska beach, Mr. Stefan Braun beach bar offers the best daily parties and what is more important – the best summer memories. I admit that choosing only one restaurant has been always difficult for me. However, some places simply deserve to be given a priority because of their reputation, long tradition and high standards. Ćatovića mlini is this kind of place and it is undoubtedly worth visiting. It is located in the small town called Morinh, half way between Kotor and Herceg Novi, in Boka Kotorska. This spot boasts a charming location in an old water mill, it is surrounded by nature, greenery and running water. On their website, it says that in Ćatovića mlini time goes by as it suites you. I can not think of anything that defines this place that precisely, and not just this place but the idea of a perfect holiday in general. When it comes to clubs the situation is very clear. Launched in 2010 in the hills high above Budva town centre, Top Hill for more than 5 years in a row very convincingly masters the night life of Montenegro. 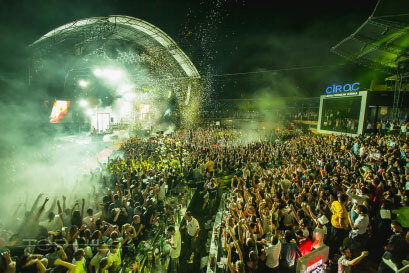 Fascinating and distinct interior, capacity for up to 5000 people, VIP area and excellent and carefully planned music programme make this colossal indoor-outdoor space one of the most attractive clubs in the whole region.